The FBI this week closed the books on the 1971 D.B. Cooper plane hijacking. Insert your Hillary Clinton E-mail joke here. A Delta Air Lines flight to Rapid City, South Dakota, this week mistakenly landed at Ellsworth Air Force base. Insert your "Delta touts its operational excellence" joke here. American Airlines will give passengers upgrades to its new international premium economy class when Boeing Dreamliner flights launch from Dallas/Fort Worth in November. Nice perk, you say? Nope. American's computer systems can't sell premium economy yet, so American can't charge for it. Michael Cimino, who died earlier this month, is best known for masterpieces like The Deer Hunter and catastrophes like Heaven's Gate. But before he made movies, he directed commercials, including this 1967 mini-musical for United Airlines. There are three big national conventions coming up in the next two weeks: Republican in Cleveland, Democratic in Philadelphia and Comic-Con in San Diego. You could make the case that Comic-Con has a greater impact on our lives. Remember the fabulous Calvin and Hobbes comic strip about a hyperactive six-year-old and his come-to-life stuffed tiger? Someone stuck Donald Trump's head--it's yuge!--on Calvin's head in a number of strips. You'll be shocked--shocked--how prescient creator Bill Watterson was on the topic of Trump. Take a look for yourself here. 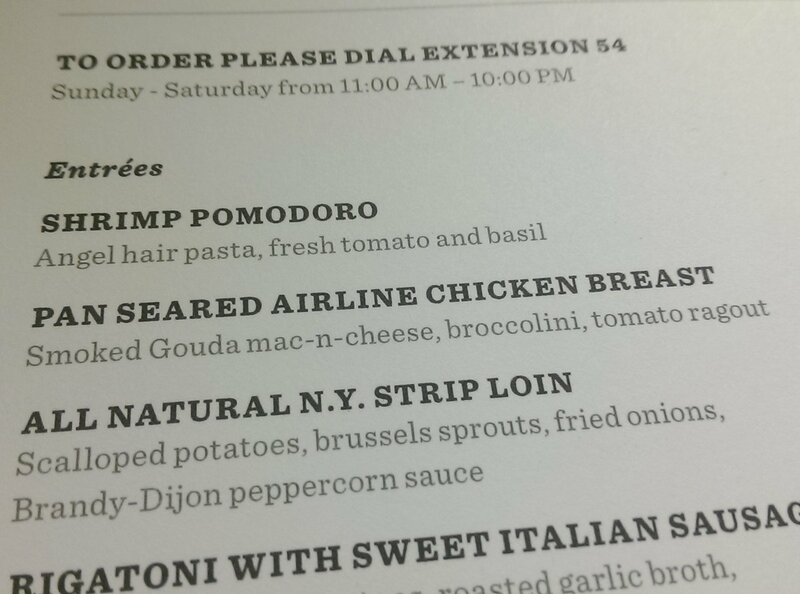 I checked into a hotel the other night, flipped open the room service menu and was offered a "pan seared airline chicken breast." So I guess we now know where all those detestable coach meals have gone now that airlines don't serve them anymore. What the hell is Pokemon Go? And why the hell is there an accent aigu over the "e"? And why the hell should I consult my HTML conversion chart to learn how to generate an "e" with an accent aigu? Am I the only one who can't tell the difference between TV commercials for movies and TV commercials for video games? After seeing back-to-back ads with Arnold Schwarzenegger and Jennifer Saunders and Joanna Lumley doing Edina and Patsy, I really don't know what's a video game and what's a movie anymore. The British government was supposed to decide whether to build a third runway at London/Heathrow this summer. But, of course, Britain changed prime ministers yesterday thanks to the chaos caused by the Brexit vote. So the Heathrow decision won't be coming any time soon. On the other hand, Britain will probably build a third runway before it ever leaves the European Union. In other words, I'm not sure either will ever happen. I know Cleveland is all a-twitter about the Cavaliers winning the NBA title, breaking a 52-year sports-championship drought. But Cleveland will now have to deal with Trump and his Twitter. Your momma was right: No good deed goes unpunished. By the way, LeBron and the Cavs winning does nothing for us fans of the Cleveland Indians, who haven't won in my lifetime or, indeed, since 1948. The Indians are lapping the American League field as baseball returns from the All-Star break. But I have an ugly hunch that the Indians will breeze through the AL only to face the ultimate indignity of being the team that finally loses to the Chicago Cubs in a World Series. We all know that being a frequent flyer means always having to eat crap from the airlines. But did it ever occur to you that always being on the losing end of an airline transaction makes us angry at any failure of our other suppliers? I just fired my credit union when it unilaterally decided to open a savings account in my name and stopped buying from Amazon.com after it lowered the price on a waffle iron the day after I purchased it. On the other hand, I fired an insurance broker after he didn't catch that I was being charged twice as much as I should have been for my FEMA flood insurance. When I alerted FEMA to the error, they sent a refund check in 72 hours. In other words, even the government gives you better service and treats you with more respect than airlines. When you see Rudy Giuliani at the Republican Convention next week excoriating the "Obama-Clinton Administration" for its policies on terrorism, remember this: When he was mayor of New York, Giuliani built the city's emergency-response center under the World Trade Center in 1996 even though the WTC had been bombed by terrorists in 1993. Naturally, the bunker under 7 World Trade Center, which collapsed several hours after the Twin Towers on 9/11, was useless during the crisis. You'll hear a lot soon about Upside.com, a new business travel start-up fronted by one of the founders of Priceline. The angle: Be "flexible" about your travel plans and you'll be rewarded with gift cards. It's your call, of course, but remember that when Upside talks about being "flexible," it's code for "spend more time at the airport waiting for connections." There ain't enough Applebee's gift cards in the world to convince me to spend an extra second in an airport waiting for connecting flights. Is it just me or is the Trivago guy beginning to look like the Travelocity roaming gnome?